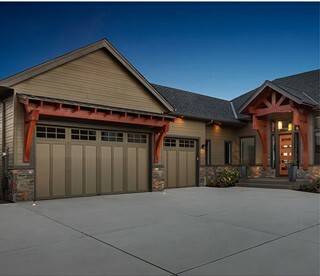 Your garage door and front door share similar responsibilities, they welcome you home. Why not give them a matching look by painting them the same color? It’s a great way to bring unity to your exterior color scheme while adding curb appeal to your home. A garage door project is the perfect opportunity to repaint your front door using Sherwin-Williams Emerald® Exterior Urethane Trim Enamel, so you can welcome your guests to your home in style.